davidcole: It is now possible to bill from New Zealand since they are "local" but use a DNS service or VPN to access overseas catalog. In this case, you switch your billing to NZ but continue to use the DNS service or vpn you currently use to switch your catalog. Lightbox et al will be on the heels of Netflix to ensure anyone with a NZ account can only access NZ content - irrespective of DNS/VPN. You already need separate Apple IDs for each country you want to obtain apps for. But then it's not a GST thing anymore, outside of this scope. And yes, Lightbox is not in this because they think the government should get more money. They're in this because they fear the competition. There's no good in there, it's just for their own profit. and it's totally reasonable to do so. Lightbox and Netflix are priced the same for the main plan ($13). By not collecting GST, Netflix has an extra ~$1.70 per customer to spend on the cost of their business. It's a competitive advantage in this case gained because they simply avoid paying taxes that they should probably be paying. Netflix NZ is a service consumed in NZ, by NZers, priced in NZD, and has content designed for the NZ market. By any account of 'fairness' it should pay taxes just the same as any other similar service. I agree they should pay GST where easily enforced - for Netflix, with local operations it should be. But I still think it's a private industry movement hiding behind the "good for everyone". 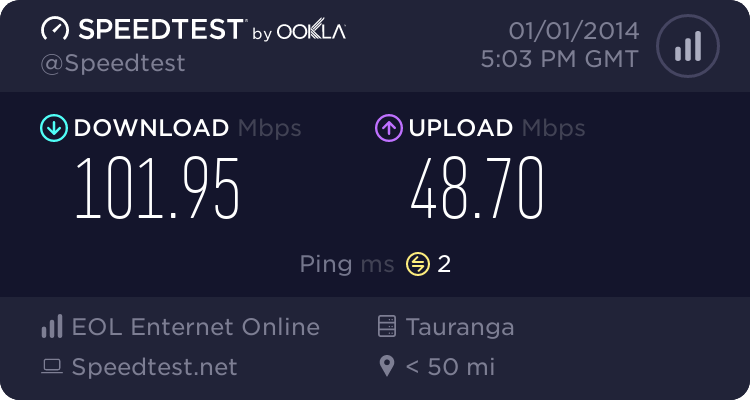 Technically in this instance the only thing you're not paying GST on (when it's attached to teh NZ netflix billing) is the payment to the VPN or DNS service provider. Is it possible to "switch your billing" on a US Netflix account to NZ or do you need to cancel and create a new account under a new email address? I assume you can't cancel and then create a new account with the same email address as this would just reinstate the old US account wouldn't it? I believe you can contact Netflix and they can effectively reset your account so you can sign up again in NZ. What I did though was just change the email address on my account to my second email address, then sign up a new account under NZ from my original email address. Edit: of course you'll want to cancel your subscription from your original account after you change the email. bongojona: Would Unotelly itself be subject to GST? They would have to be earning over $60,000 first before they have to register and how would the IRD ever know? It seems to me only the big players will be caught with this. I'd be amazed if that was more than say 100 vendors. A lot of smaller overseas vendors may never know of the requirement and it remains to be seen how the IRD could even enforce where the vendor has no physical presence in NZ. Same way they get most people who otherwise wouldn't, to pay their taxes honestly. At a later date you are still responsible for not following the law. Let's say Amazon observe rules put in place by the IRD, and refuses to adhere to them. At a later stage they need New Zealand-based legal support, or need to have a physical presence of any sort.. Their chickens come home to roost at that point. freitasm: No one said anything about these services being illegal. Only that you have to pay GST on electronics goods. Nothing changes on physical goods. Haha, well my concern was based on the first few replies prior to my post. I agree, section 7.14 below suggests to me that if the nz consumer says they are from the US to buy US netflix then they could be fined for knowningly avoiding tax. This almost seems like a geoblocking enforcement law. But as long as you paid NZ Netflix with GST they don't care what you watch. Those who subscribe to Hulu and Amazon will fall in this group, right? So by right it is an 'illegal' activity as you can be fined under the law for dodging GST. I think you need to do a logic check. You've said that 30% of revenue goes to content; you've also said that Netflix have an extra $1.70 of revenue due to not paying GST. If you now apply logic, you can see that Netflix has an extra 51c per customer to spend on content, not $2 as you state above. Unless you're saying that Netflix somehow sets aside the "GST money" in a special account for the specific purpose of competing against Lightbox, which I very much doubt is the case. GST on $12 per month is something I am just not going to think, worry or disrupt my sleep over. I would lose more the that per month by dropping or just leaving behind at the store. Which for the vast majority of online traders will never happen. They will never have (or need) a presence here. Many will simply fly under the radar and that is even assuming they meet the threshold. Or once they get letter from IRD they just add "We don't sell to NZ" or maybe in the era of don't puss off tax departments on principle just decide the business isn't worth the hassle and decide to not supply by default. Will be some silly examples where buying the electronic version of a product is get liable but presumably not if it comes with physical product. Ie digital version of magazine vrs physical version which also includes electronic version for free. littleheaven: Yeah, I'll probably just cancel my US Netflix and get an NZ one so I can pay the GST and avoid any potential hassle. Although the fact I signed up for it before Netflix was available in NZ should be reasonable evidence that it was for content not GST avoidance. How comparable is the content in Netflix NZ to Netflix USA? I took a look at Netflix NZ content listing, and it looked pretty limited. Yes, it is, but as others have noted, you can have an NZ account but use a geo-unblocking service to spoof your location and view whichever country's library you want. The NZ library has, I understand, some exclusive Australasian content so if I want to see that, I just view on the iPad I don't have UnoTelly loaded on. If I want international content I use the AppleTV that I do have UnoTelly loaded on, and use UnoTelly's Dynamo feature to select the region I want to view. For an extra $20-$25 per year I'm not going to lose sleep over it. Since Netflix is specifically targeted I'd rather go the NZ billed GST-charged route and not have to worry about dramas with the IRD. I know it's not covered by the electronic GST changes, but I wonder if they'll go after Book Depository. I don't think they charge GST. I order dozens of books from them every year. They have free worldwide shipping and a far greater range than locally. This actually makes a lot of sense. If you travel to the states (or any other location), and use your device, it just accesses the local content. littleheaven: I know it's not covered by the electronic GST changes, but I wonder if they'll go after Book Depository. I don't think they charge GST. I order dozens of books from them every year. They have free worldwide shipping and a far greater range than locally. Even charging GST, it would still be significantly cheaper than local merchants. So hulu and amazon are a different kettle of fish since they don't have and nz presence - so how they will get GST from them I dont know. Netflix is easier as they do operate officially here.